A glance at a recent weekend: It’s a page out of anyone’s journal – except that it’s different. These aren’t friends from college, the neighborhood or church. Most of these friends aren’t even people we see for more than a couple weeks a year and haven’t known for more than a handful of years. 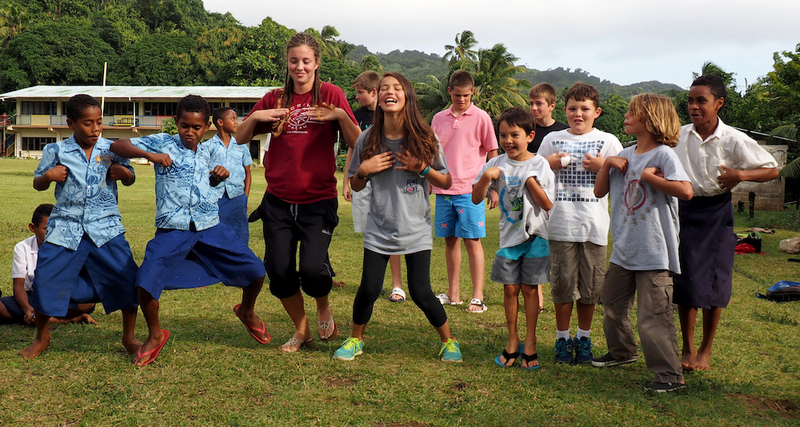 We were bonded by the coldest winter on record in Fiji, by the excitement of observing thresher sharks feed, and by countless laughs and talks on boats, big and small, rocky and calm. 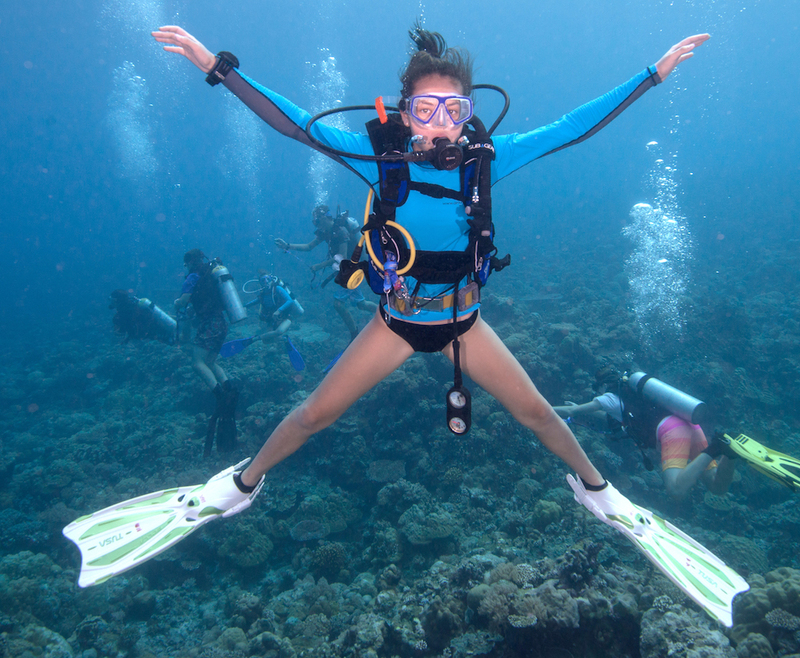 In 2010, we went on our first family dive trip with Margo Peyton and Tom Peyton to Bonaire. Ben and I were thrilled to be back in the water and to be able to share it with our children, Hannah and Caleb. 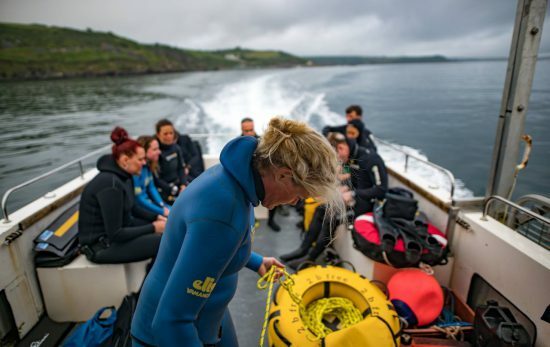 It had been almost 10 years since our last “real” dive trip, B.C (before children), and we had been spoiled – diving annually with a group of old friends in the Indo-Pacific. 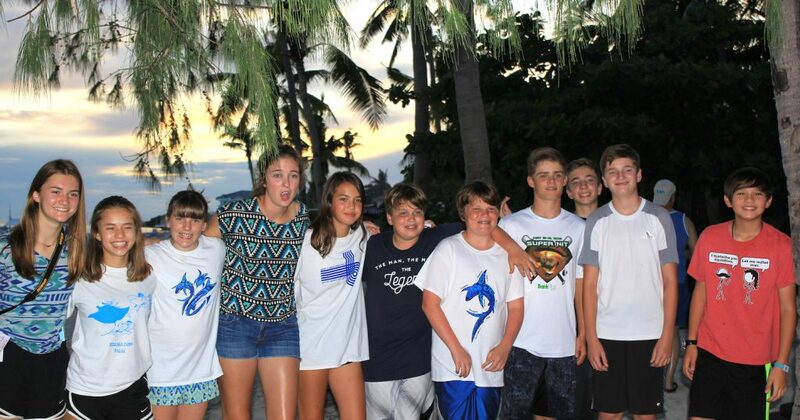 Kids Sea Camp was an oasis compared to the 20 year drought we thought we’d experience until the kids were grown. However, meeting and making new friends were not on our agenda. 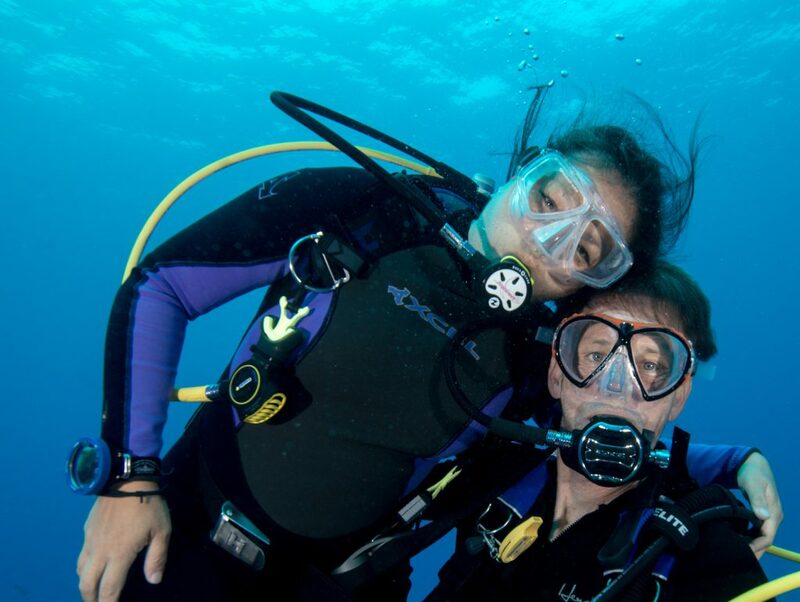 We were pleased to find out that we had three common interests with the parent divers on our boat: a love of travel, a passion for diving, and a great desire to share the magic of the underwater world with our kids! It was an added benefit that our 5-year-old became inseparable with a set of brothers. 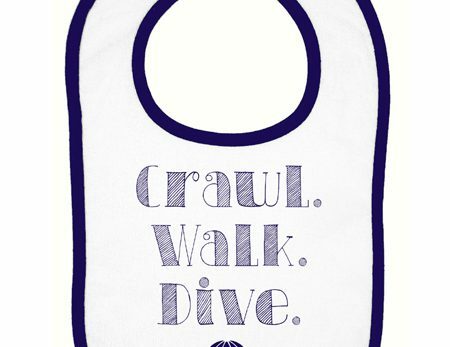 We went home excited that we had gotten wet and looked forward to new underwater adventures for our family of four. The next year, we went to Utila. 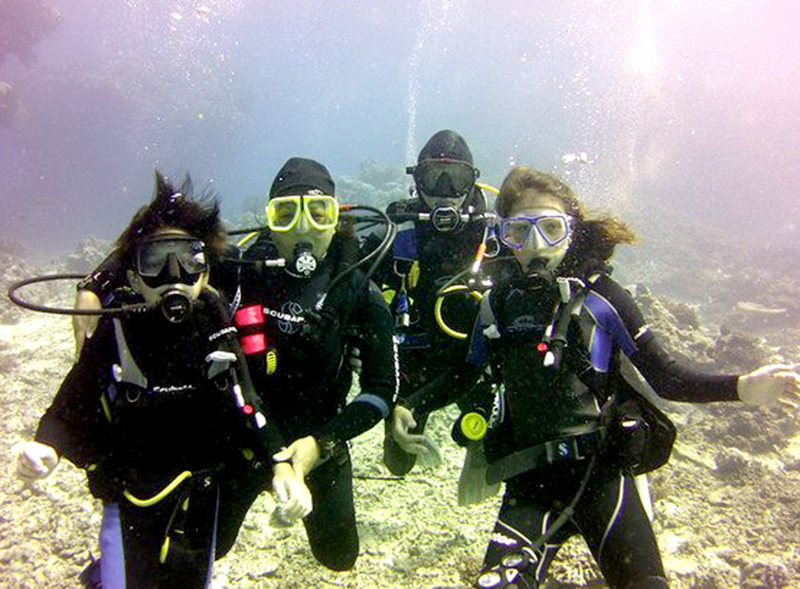 We had one of the most enjoyable dives of our lives – our first with our daughter, a newly certified diver! However, no fast deep friendships were made on this trip. 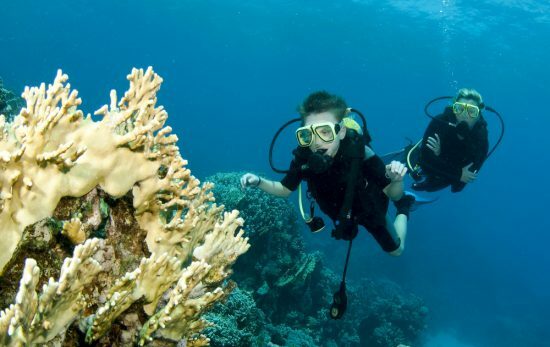 So we had set in our minds what this ‘Kids Sea Camp experience’ was going to be like for our family: a group vacation/tour to share with strangers who liked to dive although we didn’t see connecting long term with any of them. 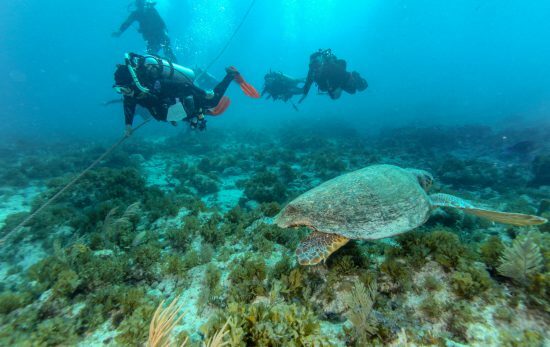 Still, it was awesome to be in the water again, pleasant to do so with amiable folks and delightful to watch our kids grow as divers and citizens of the world. The following year changed all that. Yap and Palau were high on the bucket list and did not disappoint – on land and in the ocean. A boat filled with middle-school aged “mermaids” singing above and spinning below the waves made Hannah’s 12 birthday most memorable. And much to our surprise, Ben and I truly connected with our dive buddies. We carried over our happy hours and roaring laughter from Palau on to a holiday visit to New York months later. Fast forward, Grand Cayman, Fiji, the Philippines, and Palau. Once again, we have indeed made friends – those who live in Bermuda, Oregon, the Midwest, Australia, and yes, even our hometown of Houston, Texas! We have exchanged children for weekend visits, gotten together for BBQ’s, and shared hugs and concerns over health issues, natural disasters and family struggles. Our friendships have continued to grow and we have hounded Margo to keep our boat buddies together – which she has miraculously made happen each year. In the end, this group of friends has become a community that comes together for a short stint each summer to pick up where we left off, to gleefully share the heart pounding moments of finding the biggest nudibranch imaginable and the tiniest pygmy seahorse ever, and commiserate over the child drama of the day. Having the ability to continue our friendship throughout the year by phone, social media, and visits makes it more rich and there’s nothing like getting that email that says, “Love you, miss you, and can’t wait to see you guys in Cayman Brac!”, even though its 258 days and counting. While we feel incredibly lucky to have the BEST BOAT BUDDIES ever, we know we’re not alone in enjoying this extra blessing and phenomena of Kids Sea Camp. 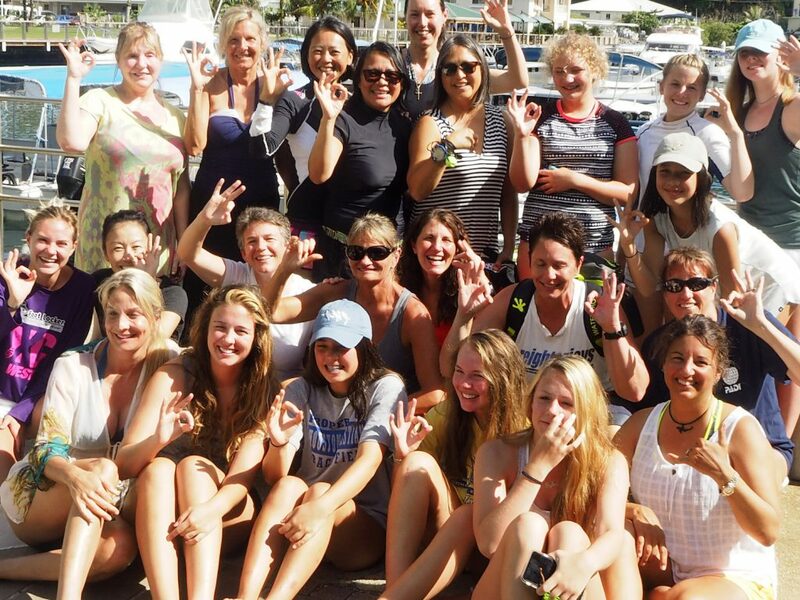 We know of others who reconnect every year to dive or to meet up to explore the world or to spend school breaks together. It’s definitely a bonus (one we never expected) and it makes for memories to last a lifetime and friends with whom to share them.